IRVINE, Calif., December 15, 2017	(Newswire.com) - Project management software industry leader Project Insight is pleased to announce its feature in the renowned business publication Inc. Magazine. The article, entitled “Project Management: Not Just for the Big Guys Anymore,” discusses how smaller companies are thriving due in part to affordable project management solutions. Project management as we know it is dead. Gone are the days of emails, spreadsheets and double-data entry. For over 15 years, PI® has been reinventing the way teams and project managers operate, helping them Work Better Together™. “Only eight out of 100 organizations have a project success rate greater than 80 percent," according to research conducted by the Project Management Institute. Project management software provides greater visibility for projects and helps organizations be proactive in reducing project failure. Project Insight’s co-founder and CEO Steve West brought his vision of making project management solutions accessible to teams of all sizes and budgets to life. As a result, PI is the first PM software provider in the industry to offer plans to consumers that grow with their company, ranging from a freemium model to an enterprise price point. With their recent unveiling of PI#team™ and PI#smallbiz™, small departments and businesses will never outgrow their current project management systems, but rather, can simply upgrade. 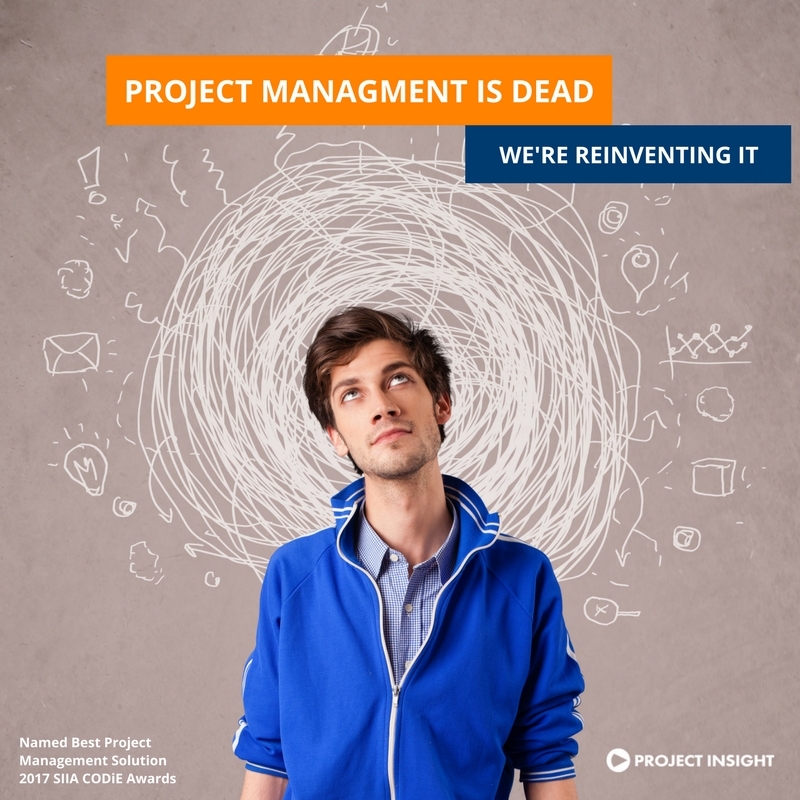 As the traditional process of project management transforms, Project Insight continues to be at the forefront of innovation in the project management software industry. PI was recently named Best Project Management Solution at this year’s 2017 SIIA CODiE Awards for their avant-garde approach to traditional PM software. Project Insight is also the first in the industry to develop a team of artificially intelligent project managers (VirtualPM™) that act as a “project concierge” to help facilitate unique communication between teams. The VirtualPM add-on is available for Slack, syncing communication between Project Insight’s software and the communication app. Now, team members can give status updates on a project, and more, directly from their Slack instance, virtually eliminating the “busy work” of a project manager. For users already on Slack, the VirtualPM add-on can now be found in the Slack directory. Readers can find the article in the “Winter 2017-2018” issue of Inc. Magazine on page 68 of the print edition. The online edition will be published within the upcoming month. For more information about Project Insight, visit their website. Project Insight is a project management software company dedicated to helping teams Work Better Together™ for over 15 years. As an industry leader, PI® specializes in developing web-based project management software for teams of all sizes. Project Insight was named Best Project Management Solution at the 2017 SIIA CODiE Awards. Project Insight is used by IT, professional services, product development and many more industry leaders worldwide. To learn more, visit www.projectinsight.net or follow us on Twitter @ProjectInsight. Which Project Insight solution is a fit? Project Insight is project and portfolio management software focused on helping project driven organizations centralize projects, balance resources, collaborate on project assets, enter time/expenses, track budgets and view real-time reports.